Obesity is a major problem in the US. 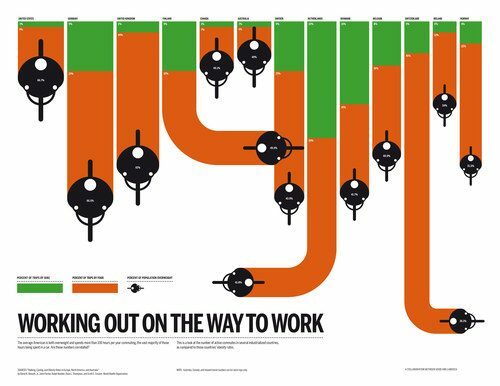 With the modern-day cycling boom in ever-increasing strength, is it safe to say that commuting by bicycle could change these statistics? GOOD magazine, along with Lamosca, has designed a wonderful info-graphic that addresses this question.